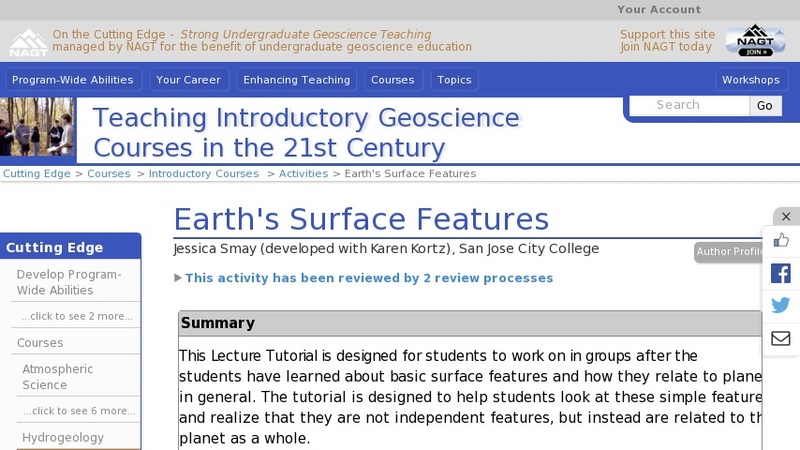 Students work in pairs on this worksheet and strengthen their background knowledge by identifying different features in photographs of Earth's surface. Then to build on this base, the students need to determine the key processes that form each of the features. To address a common misconception, students read a debate between two hypothetical students and need to determine which student is stating the scientifically correct idea. The project is summarized by a question posed about the features on a hypothetical planet.